The game basically involves crossing busy streets and avoiding being run over by the vehicles, or jumping into the water. The further you go without dying, the higher the score. The game has proven to be exceptionally addictive and it was hard to put it down to write this, so let’s get on with it. As mentioned before, you cross the streets in this game to get to the other side. Occasionally you will also come across railway tracks and rivers with floating logs. You tap on the screen to jump forward. To go left, right, or back you swipe in that particular direction. The cars and trucks keep moving from left to right and are hard to dodge. The train track is relatively easier as the trains don’t come in without a warning but when they do it’s impossible to dodge due to their speed so it’s best to stay clear of the track when you hear them coming. The rivers are also tricky, as you have to navigate the rows of moving logs to get past them and if you fall into the water you’re dead. The screen keeps moving forward so if you stay still and don’t move along you’re dead. 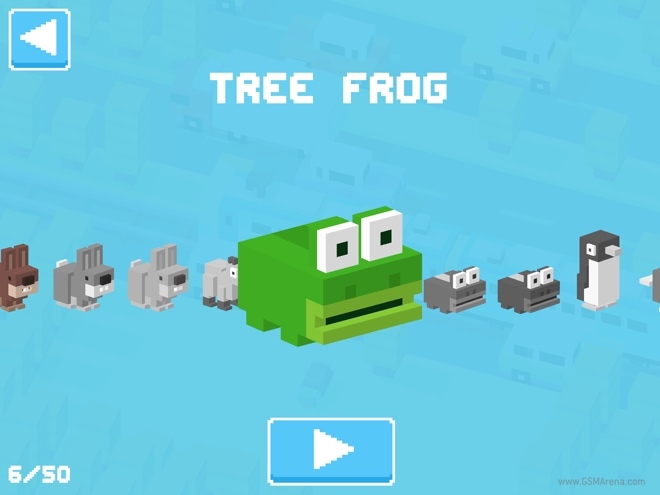 Unlike Frogger, which ended when you reached the other side of the screen, Crossy Road is endless, so you can keep moving forward and for every step forward you get a point. The farther you go the higher you score. 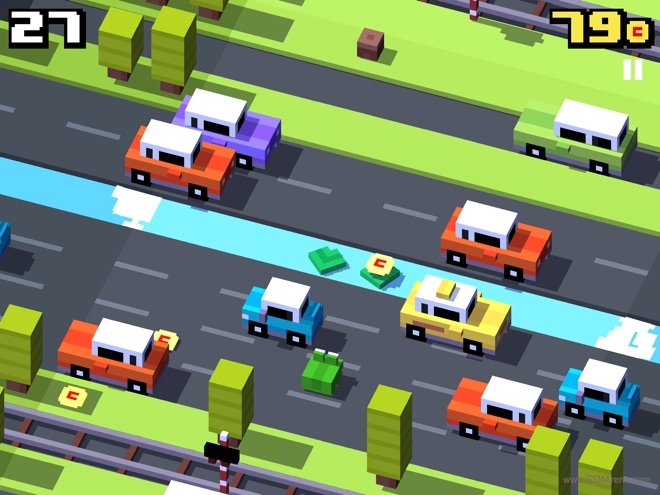 Also unlike Frogger, Crossy Road has more than one character. 50 of them, to be precise. The game starts off with a chicken (from the ‘Why did the chicken cross the road?’ fame) and more characters are made available as you play. You can also use in-app purchasing to unlock the rest, but it’s a dollar each so you’d be spending quite a lot to unlock all of them. The different characters don’t influence the gameplay and they all move the same way. What differs is their character animation, and the animation for when they get run over. Some of them are silent while most make some sort of sound. There are lots of inside jokes, references, and memes associated with some of the characters, which them bit more fun. One example is this Doge character that you can see here. 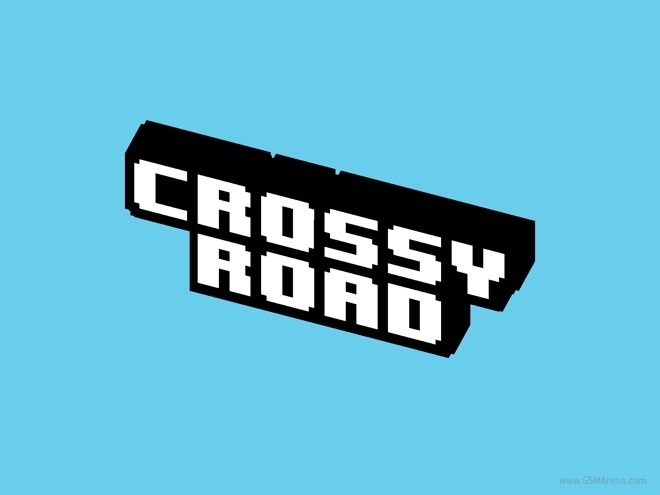 Like most endless runners, Crossy Road is insanely addictive. Before you know it, you are mashing the replay button and trying to get that high score to go past your friends on the leaderboard. No matter how long or how many times you play it doesn’t stop being fun and the constantly unlocking new characters keep the game feeling fresh. 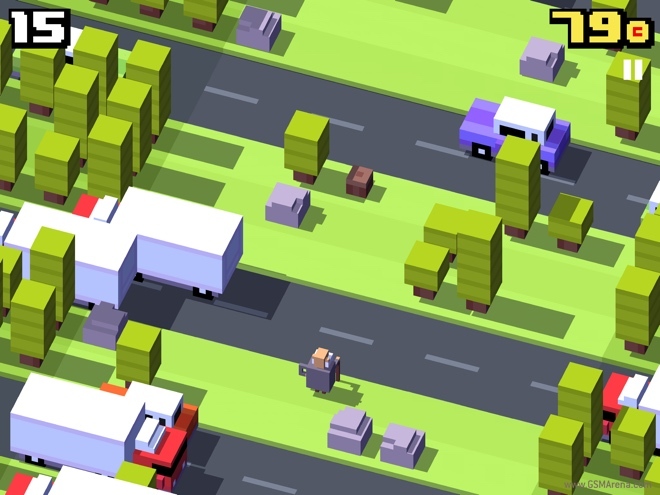 Crossy Road has IAP but thankfully none of it is annoying. The game consistently unlocks new characters for you even without you paying for them, provided you keep playing the game. There are video ads but they aren’t visible by default and you can choose to see them at the end of a level for a few extra points, which you can use to unlock more characters. It’s tastefully done to minimize annoyance. The game lets you record your gameplay and then upload it to Everyplay. You can also choose to enable the front facing camera and record yourself playing the game. 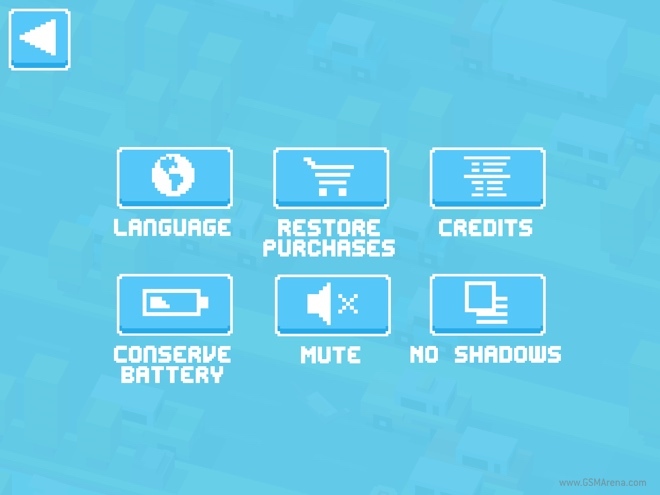 Crossy Road is a 3D game but with pixel art graphics, that makes it look somewhat like Minecraft. I’m not a huge fan of pixel art graphics but they do look good here and feels like the game is paying homage to the original 8-bit Frogger. The game has a ‘Conserve battery’ option that reduces framerates from a silky smooth 60fps to what looks like 15fps but that really doesn’t look nice. You can also disable the shadows if that bothers you for some reason but again it looks worse. One cool thing is that the game works in both portrait and landscape mode. There is no music in the game but the sound effects are often amusing. Most of the characters have different sounds that they make while moving and when they get run over. There are also a lot of chiptune sounds in the game to keep with the whole retro theme. 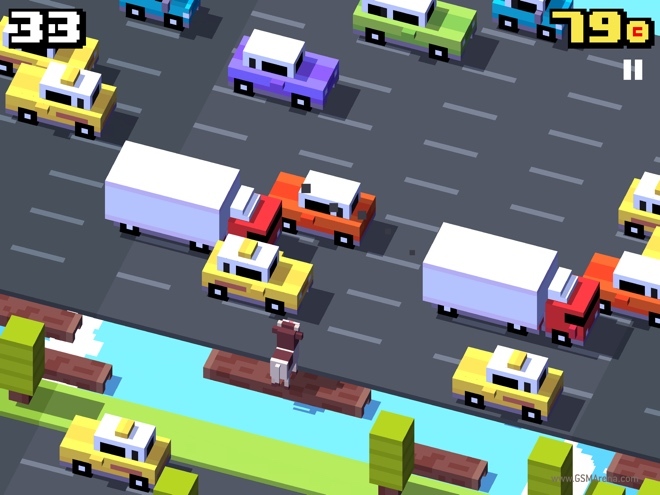 Crossy Road is an extremely addictive and well-made game. This endless hopper is endlessly fun and the incredible choice of characters keep the game feeling fresh. Best of all, it’s completely free and for once that does not come with annoying ads or in-your-face unavoidable IAP. Crossy Road is highly recommended and if you have an iPhone or an iPad you should download it right now.